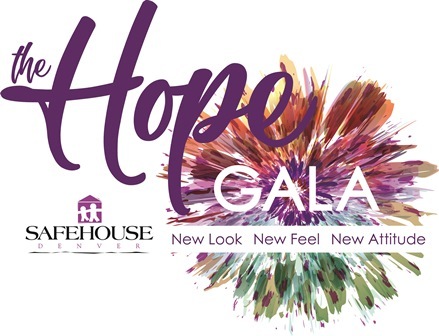 More than just a tagline: A New Look, New Feel, New Attitude perfectly describes the 2018 Hope Gala. Your night will begin the moment you walk into The Art Hotel and you’re greeted by the world-class collection of artwork. Mingle with your guests or make new friends while you browse a curated silent auction, sip on cocktails from the cash bar, and enjoy delicious passed hors d’ oeuvres. As you make your way through the stunning indoor and outdoor spaces, enjoy entertainment stations and interactive fun. When you’re ready, you and your guests will feast on an upscale buffet dinner prepared by an award-winning culinary team. The true purpose of the event – supporting survivors of domestic violence – will remain at the forefront as our short program begins. Honorary Board Member and longtime supporter Cassidy “DJ Bedz” Bednark will be honored for his decade of championing the support of survivors of domestic violence. Our new Emcee, Steve Staeger from 9News, and new auctioneer, Debbie Scheer, will lead a rousing live auction and announce the winners of our newly-added raffle. The program will come to a close with a moving story from this year’s Survivor Speakers and an opportunity to donate in support of the life-saving services that SafeHouse Denver provides. As the evening winds down, you’ll find a few more surprises waiting for you to keep the fun going. All of the services that survivors of domestic violence receive at SafeHouse Denver are provided 100% free of charge. The Hope Gala, our signature fundraiser, ensures that these services continue. Support survivors by registering to attend today! Individual Reservations . . . $150 per person through August 31st. $165 from September 1st. • Reserved high-top in the Grand Colonnade or on the Fire Terrace. High-tops will be reserved based on the order in which purchases are made. High-Tops for Four . . . $600 until August 31st. $660 from September 1st.